Chris Hutchings is a composer based in Edinburgh, Scotland. His works for choirs have won several awards. “The Beach” was broadcast on Radio 3 on 1st April (not a joke!) You can hear it at about 1hr16min here. “Where Are My Unnumbered Days?” from #choirsagainstracism has been selected by Wicker Park Singers of Chicago in their call for scores, and will have its world premiere in Chicago on 12th and 13th April in their “Journey to Begin” concert. The same piece has also won the Murau International Music Festival’s call for works, and will have its European premiere in Murau, Austria, on 26th and 27th April! “The Wall” will be included in Voces Inauditae’s concert of new choral works on 3rd March in Edinburgh. “Answer The Question” made it to the final round of Iceberg New Music’s call for scores! This was written for the National Library of Scotland’s “Digital Exam Re-sits” project – you can hear it on SoundCloud and see the score. SATB, 5 minutes, advanced difficulty. “Migrations” was premiered in the New Gallery Concert Series in Seattle – recording coming soon! This instrumental piece, for any two instruments (preferably identical or from the same orchestral family) is free as part of #choirsagainstracism (scroll down to find it) and you can download and perform it for free. Donations or fundraising for anti-racism or pro-refugee causes would be appreciated. “The Wall” will be sung by Voces Inauditae in their concert on 3rd March 2019 in St Columba’s by the Castle, Edinburgh. “Welcome Carol” from #choirsagainstracism was sung by the choir of Chicago Temple on Sunday 16th December – great to get international outings for this project! See the video of their performance on YouTube! “New Year Carol” was sung by Spectrum Singers in Wales on Saturday 8th December, and also performed by Bournville Voices in their Winter Celebration concerts on Mon 10th Dec and Mon 17th Dec, near Birmingham. 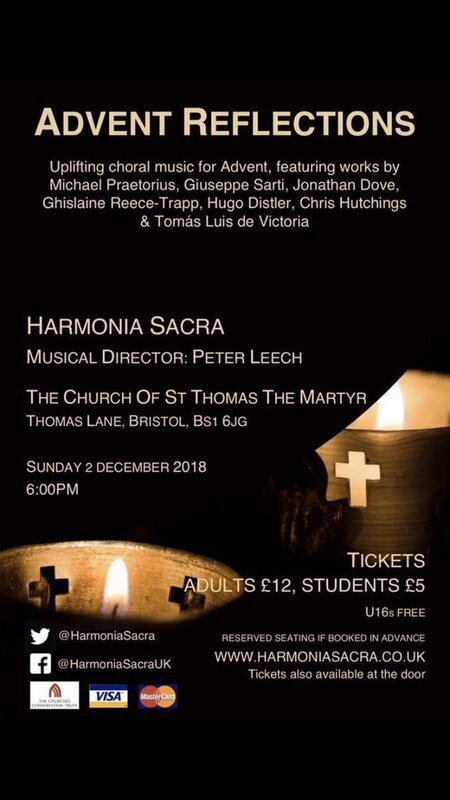 “In The Bleak Midwinter” will be recorded in 2019 for a new CD by Harmonia Sacra, conducted by Peter Leech, and they performed it in their concert in Bristol on 2nd December. Choirs in the Cairngorms, Edinburgh, Kettering, and Finedon are singing Hush My Dear this Christmas. The Watsonians Choir in Edinburgh sang Good King Wenceslas on 8th December. And Wimbledon Choral Society gave a further performance of Adeste Fideles, which they commissioned in 2016, in their concert on 15th December. “Migrations”, a short piece for any two instruments, written for Jen Wang’s “Pieces for RAICES” project thanks to a donation from Conrad Lumm, will be performed in Cambridge, Massachusetts on 26th January 2019 in the New Gallery Concert Series. “The Wall” and “No Man Is An Island” were included in Wareham Choral Society’s Come and Sing event on Saturday 3rd November in Wareham, Dorset. Awards news: “Three Memories Of Kurdistan” received an honorable mention in Voices21C‘s call for scores. “The Beach” from “Three Memories of Kurdistan” (part of #choirsagainstracism) was performed by the BBC Singers on 21st September, and will be broadcast on Radio 3 in the next few months! Click here for concert details. This concert also included a piece by Alison Willis, who wrote “THEY” for #choirsagainstracism. The University of Hull Chapel Choir performed Hush My Dear at the British Science Festival on 11th September. Both The Wall and No Man Is An Island from #choirsagainstracism were included in the Composers’ Showcase at the Wessex Festival (Friday 10th August, 10am in Wimborne Methodist Church). If for some reason you’d like to listen to all my choir recordings in alphabetical order, see this SoundCloud playlist. “Incitement to Sailing” from The Birlinn and “They” by Alison Willis (which I wrote the words for – also from #choirsagainstracism) were performed in St Pancras Church, London, on 6th July 2018 – see London City Chorus’ page for details. Thank you to Paul Ayres, Philip Shannon and all the singers! Recordings coming soon. The Wall from #choirsagainstracism was featured in a concert/reading session in Seattle on 21st July, performed by Chorosynthesis. In the meantime, here’s a new recording from the University of Hull Chapel Choir: “Hush My Dear”, a Christmas carol for SATB. “To The Mountain” is now available on iTunes: US users click here, GB users click here – and also on Spotify! Updates at the #choirsagainstracism page! Every piece now has its own page, and the main page is just a nice clean set of links. New piece added, Immigrant Jesus for SATB choir; music by Kathyrn Rose, words by Gary Alderson. “Answer The Question” has been released as part of the National Library of Scotland’s Exam Re-sits project. There are several other good pieces of work there too – take time to enjoy them all! It’s a choral setting of a 1962 Mathematics examination paper, for SATB (divisi useful but not vital). Contact me for a score if that sounds interesting to you. Quite high difficulty level but worth it. The performance here is by the Reid Consort, conducted by Cole Bendall. My Preces and Responses were performed at the London Festival of Contemporary Choral Music earlier this year – the recordings are now online, recorded by Christopher Batchelor and St Pancras Parish Church Choir, London. See the PDF score. “We Are One Voice” has been accepted for publication in the Hong Kong Children’s Choir 50th Anniversary Songbook. “Do Not Stand At My Grave And Weep” was performed by the Orlando Singers in Bournemouth on Saturday 23rd June, conducted by David Fawcett. In London City Chorus’ recent Call for Works, “Incitement to Sailing” from The Birlinn was one of the 3 winners (from almost 100 submissions), and so was “They” by Alison Willis – which I wrote the words for! Definitely the first award I’ve won for lyrics, and perhaps the first time someone’s done lyrics for one piece and music for another and had them both win a competition like this? Both works will be performed in St Pancras Church, London, on 6th July 2018 – see London City Chorus’ page for details. Another bit of happy news: my “Responses” (see the PDF score) got chosen for the London Festival of Contemporary Church Music, and were performed in St Pancras Church at 6pm on 13th May, conducted by Christopher Batchelor. Here’s the full brochure, including works by several composers who have become friends over the last few years. New music! “We Are One Voice” is a very flexible piece for choirs (commissioned by Beaconsfield Choir Festival) – ideal if you have a number of choirs of varying abilities and numbers of parts and want them all to sing one piece together that they can also use individually. It’s available for any type of choir and piano (available for 2-part, SSA, TBarB, SABar, SATB and unison) – click here for scores and a recording. Scores £2 each, or £25 for a PDF. Pieces that haven’t been performed yet: “Hush, My Dear” is a very easy Christmas carol for SATB (PDF score, demo recording): “Lighten Our Darkness” is a tricky motet for TTBarB (PDF score, demo recording). If you would like to perform these, I’d be happy to give you free scores for performance, in exchange for a recording. “Be Still, My Blessed Babe” is an art song / carol for solo mezzo-soprano and piano (possibly the darkest Christmas carol ever written – PDF score £10). Here’s the recording – thank you to Ruth Carlyle and David Barton for premiering this! On Saturday 17th March in St Mary’s Cathedral, Palmerston Place, the Edinburgh Singers premiered “I brought your name to the river” with words by Aine McAllister, which was commissioned with support from Creative Scotland. Full concert details here. The piece is for 6-part mixed choir (SMezATBarB) – preview the score here (with piano reduction) and listen to the opening here (full recording coming soon). Price is £30 for a PDF or £2.50+P&P per printed score. 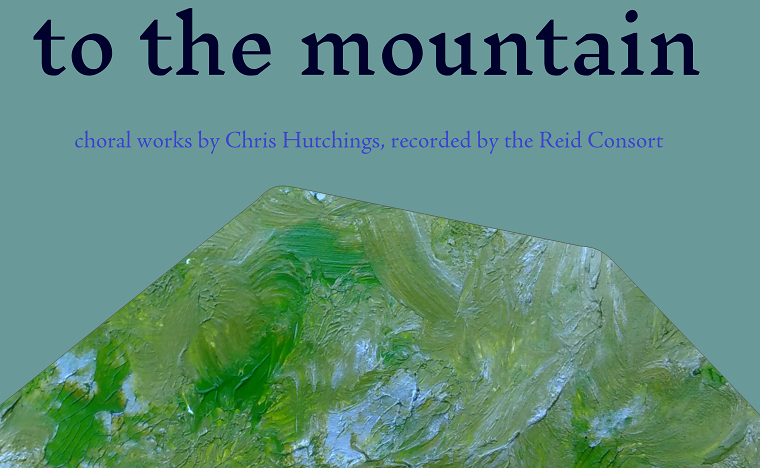 “To The Mountain” is available on Bandcamp! You can buy the CD and have it sent in the post, or download the whole album. On Saturday 3rd March, Beaconsfield Choir Festival premiered “We Are One Voice” (words by Euan Tait) in 3 different concerts throughout the day. I’ve just been awarded some funding by the National Library of Scotland to do a choral piece based on mathematics exam papers from the 1960s. This is going to be quite different from what I’ve written before! More news on that once I start writing it… It’ll be performed in April by the Reid Consort. Other upcoming premieres include “We Are One Voice”, with text by Euan Tait, at Beaconsfield Festival of Choirs on 3rd March 2018. You can now purchase “The Kindness of Strangers” from MusicSpoke Publishing. The Edinburgh Singers performed “Adeste Fideles” in their 2017 Christmas concert. “A New Year Carol” was performed by Carillon Singers (England) and Voces Inauditae (Scotland). “Welcome Carol” from #choirsagainstracism was sung by Dunbar Youth Voices in their Christmas concert on 14th December, and by a children’s choir in Cedar Rapids, Iowa, in their Christmas Eve service. If you’re performing any of my works at Christmas, please let me know – it’s always good to hear of more performances. Click here for a sample score, and/or to order copies for your choir. Three movements from “The Birlinn” for SATB choir and piano were premiered in St Giles Cathedral, Edinburgh, on 12th November – hear recordings and get perusal scores! Available for SATB choir or TBarB choir. Strathaven Choral Society will be singing “In The Bleak Midwinter” at their Christmas concert on 3rd December. Thank you to the BBC Singers, who workshopped “The Beach” from #choirsagainstracism earlier this month! It sounded fabulous. Sadly I can’t share the recording in public as it was only a workshop – contact me privately if you’re interested in performing the piece and would like to hear this first. A little experiment – I’ve put up a new piece for which you can pay as much (or as little) as you want! It’s a 3-part round called “A Bicycle Wheel”, should be suitable for any level of choir. Many of my pieces can now be purchased from MusicSpoke – all $2 per copy if you buy now! And coming soon: “After Culloden” (easy, for SATB) will be performed by Rudsambee Company of Singers in Edinburgh, at St Giles’ Cathedral, Sunday 13th August, 6pm – admission free! 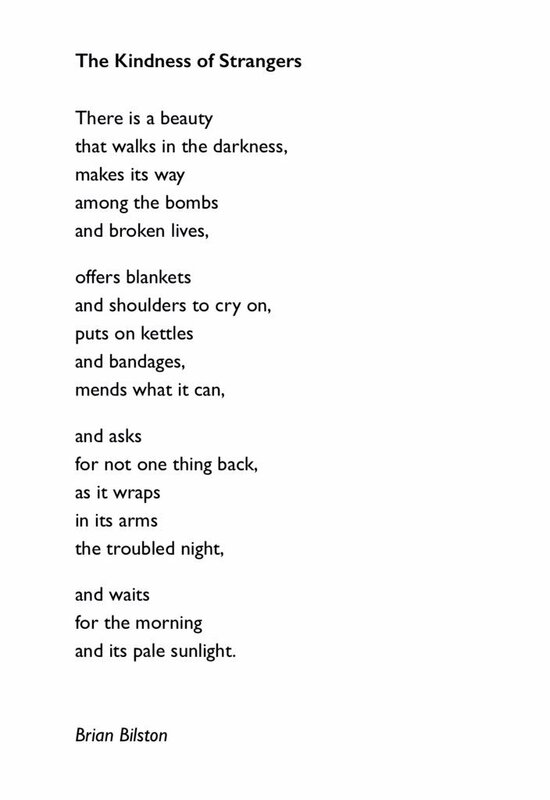 Brian Bilston, the unofficial poet laureate of Twitter, has very kindly allowed me to set his poem “The Kindness of Strangers” to music. It’s written in memory of the bombings in London and Manchester (and set to music also with the tragedy at Grenfell in mind). It’s about 3 minutes long, for SATB (maximum divisi to SSAATBB, ideal if you’re a bit short on tenors), easy to medium difficulty. My three SABar Scots songs, published by Spartan Press, will be performed by Heritage Masterworks Chorale on Saturday 9th September, in St Mary’s Church, Thirsk, North Yorkshire. “My Father” will also be performed in Edinburgh by Voces Inauditae, on Saturday 16th September (SSAATTBB version). Commissions coming up for Dingwall and District Choral Society, Napier University Chamber Choir, and the Edinburgh Singers! Sleep Songs: Wordless Lullabies For the Sleepless is fully funded on Kickstarter! I’ll be writing a wordless lullaby for American mezzo-soprano Megan Ihnen. You can still support the project and order a copy of the album, scores of all the lullabies, or even a personalised recording. On 7th and 8th April, the Reid Consort in Edinburgh recorded several of my works, including “Next Morning”, “3 Churches Mass”, and “In Springtime” from #choirsagainstracism. Those will be online soon! “Mary Morison” will also be included in Quintessential Voices’ concerts on 19th May (Hetton Methodist Church) and 11th June (Brancepeth Castle), both near Durham – concert details here. New pieces up at #choirsagainstracism – “3 Memories of Kurdistan” (The Beach, In Springtime and My Father) with words from Kurdish refugees, free to fight prejudice and hatred, or to raise funds for refugees or related causes. The PDF is available as a single download – get the SSSSAAAA version or the SSAATTBB version. The University of Glasgow Chapel Choir gave the premiere of “No Man Is An Island” (version for men’s voices), another piece that’s part of #choirsagainstracism – hear a recording below! You can read older news about my music here.